Look up coloring book app online and you will find a lot of these are now available on Android. 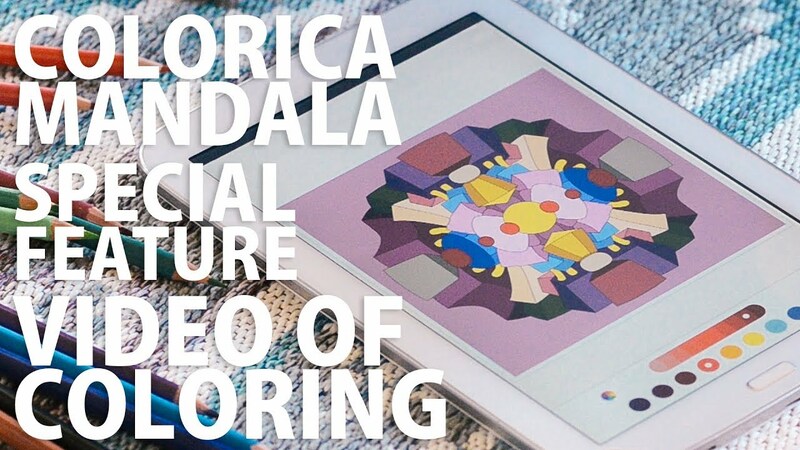 Of the many coloring book apps on Android, Colorica: Mandala Coloring Book by Artwork Interactive stands out. It is easy to use, simple and comes with a lot of mandalas to color. As a game or a stress reliever, Colorica works. Colorica is simple enough anyone can use it. Choose one of the mandalas in the coloring book. Next, pick a color from the palettes available and tap the mandala section you want to apply the color to. Pinch the screen to zoom in if you are coloring one of the more complex mandalas. The coloring video is an animation showing the color moves you made. At the bottom of your colored mandala along the left is a heart icon that lets you know how many likes your masterpiece is getting. Coloring book apps are often used to relieve stress and Colorica is no exception. The choice of palettes is pleasing to the eye. The mandalas range from simple to complex so if you are a beginner, start with the simple ones first. Once you are accustomed to it, try the more intricate designs. Colorica comes with more than 300 mandalas and over 20 color palettes. Like a particular mandala but do not have time to color it now? Bookmark your favorite mandalas so you can come to it later. Like a specific mandala? Colorica allows you to save that as your mobile device wallpaper. If you love coloring books or just looking for a way to relax, Colorica will be to your liking.